We are able to supply a number of other weather related sensors such as those listed below. Please contact us for more information on these products. 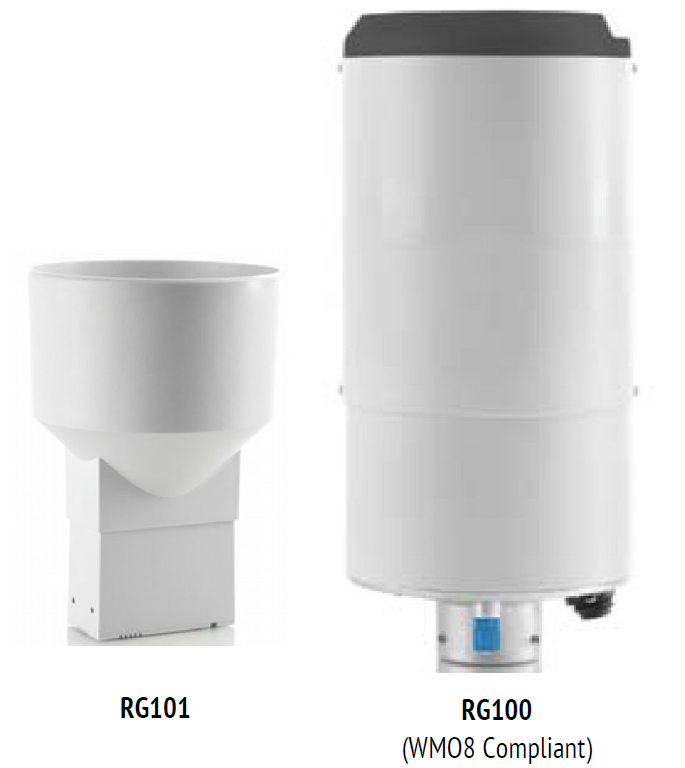 Two "Tipping Bucket" type rainguages are now available, the compact/low-cost RG101 and the larger WMO8 compliant RG100 model with a large "splash-height"(see photos above) - both have a 200mm2 capture orifice, and are available with 0.2mm/tip or 0.1mm/tip calibrations and a range of accessories. Both models include reed-switches that are pulsed when the patented single-bucket/spoon tips. Please contact us for more information. 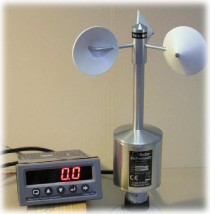 Our anemometers and windvanes can often be connected directly to a PLC, SCADA system or industrial panel meter to provide alarm, control and indication functions through that equipment. In some cases, "off-the-shelf" (standard) signal conditioning modules may be required. For those customers requiring a display, alarms or 4-20mA signal for wind speed, it is often possible to use the voltage output from our A100L2 Anemometer to feed a standard Industrial Panel/Process Meter which can be scaled to display the windspeed. Some of the more advanced Panel/Process Meters can also power the anemometer and be configured to average the wind speed signal and/or operate alarm relays. Some Panel/Process Meters can also produce a 4-20mA current loop signal equivalent to the wind speed (e.g. 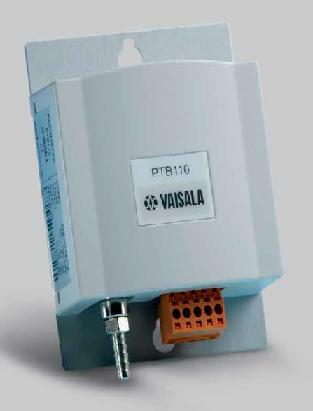 for connection to a PLC/SCADA system or to another Panel/Process Meter as an "extension display"). Please contact our Sales Office for more information or a copy of our Application Note on this subject, or for details of suitable standard Industrial Panel/Process Meters which we have available. This display unit can be fitted with an alarm module or with a 4-20mA output module. For ship-borne appplications, the OMC-139 variant is also available. 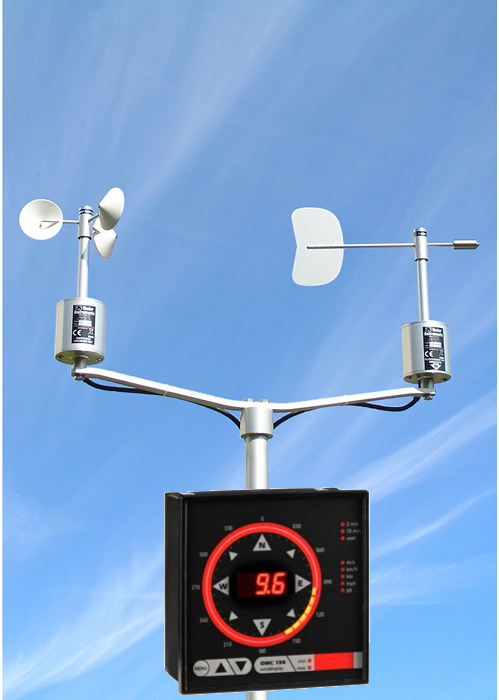 Please contact our Sales Office for more information on the OMC-138/139 wind displays and wind sensor sets for them. Please note: while many of our older indicator, recorder and signal conditioning systems (such as CHM, AD20P, D623, D600, D603, D642, R500, R800, SCU and HE-systems) are no longer offered for sale, we are still able to overhaul/service them and provide spare parts/instruments and consumables in most cases - please contact us if you have one of these systems. Important: Wind Alarms - Note/Disclaimer relating to their use. Page Rendered in: 0.267492 seconds. - Powered by Mambo.